John Rawling | Launceston Then! John was born in 1841 to William and Jane Rawling at Bradstone, Devon. His father was a farmer farming 140 acres at Oldwit Farm, South Petherwin. On leaving school John went to work on his fathers farm taking over when his father died in 1868. He didn’t marry until aged 44, to Caroline Nickell in 1884 at Bodmin. They had three sons William, John and Sydney. Tragedy struck on August 9th, 1903 when William drowned, whilst bathing off Trebarwith aged 19, he had just passed his matriculation examination. 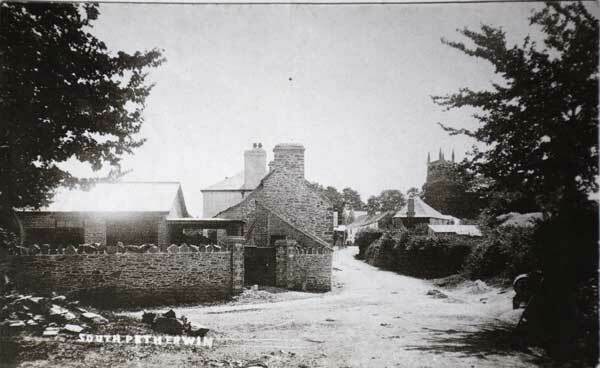 As the South Petherwin representative on the Launceston Board of Guardians and also a member of the Main Roads and Bridges Committee, John helped the unemployed miner’s of Stoke Climsland by arranging to put them to useful work, this resulted in road improvements for that district. With the work completed at Stoke Climsland, John Rawling made arrangements for ten miners to come to Landlake. Mr. Edward Coode and John gave the land and many in the district gave to the fund. John also obtained a grant from the County Miner’s Distress Fund to enable the committee to finish the improvement. Once this improvement was finished it was decided to continue in improving South Petherwin’s roads. With this in mind a large committee was formed, and on the motion of John Ching (Trebursye Manor), seconded by John Dingley, John Rawling was appointed Hon. Secretary. Money was easy to get at that time, and John Rawling collected nearly £900. The committee had a difficulty, however, in getting what John considered the best scheme in using Vicarage Lane, which jointly belonged to John and the Rev. H. T. May (the lane from Westleigh which terminated at the Vicarage). John Rawling was willing to give up his part, but Rev. May wished to keep the Lane private. The committee asked the surveyor, Mr. Shearme to draw up another plan but this plan was found to be to costly so the work was postponed. John, however, was convinced of the Vicarage Lane plan, and after some persuasion he managed to obtain Rev. May’s consent. The committee was at once re-convened, and with Mr. Shearme’s plans resurrected, the work was let. This occupied much of John’s time for four years, with the construction starting in 1888. The scheme, necessitated cutting into sheer rock in places to a depth of 15 to 20 feet and proved quite laborious, but progress was made and in 1889 the road had been driven right through to Petherwin Water. The total cost was £1,462 of which the Launceston Board of Health gave £150, and the Launceston Highway Board £425. It was through John’s efforts that Cornwall County Council purchased steam rollers, with the result of better road construction. He served as a County Councillor for fifteen years, representing the Altarnun ward. On his retirement from the Council in 1907, he was presented with a silver tea and coffee service, and silver salfer from the ratepayers and friends of the ward in recognition for his valued and un-stinting work for the district. He was Chairman of the old Highways Board, and on the formation of the old Launceston Rural District Council was elected vice-chairman. On the death of its chairman Mr. Braddon, John took over as chairman, a position he held right up to his own death. John also served as a director of Dunheved College. He was also made a Justice of the Peace and served that role for many years right up to his death. In his later years, John was a member of the Small Holdings Committee and the district Old Age Pensions Committee. He was somewhat a pioneer of new farming techniques such as what would become known as silage and was regarded as one of the leading agriculturist in the area. 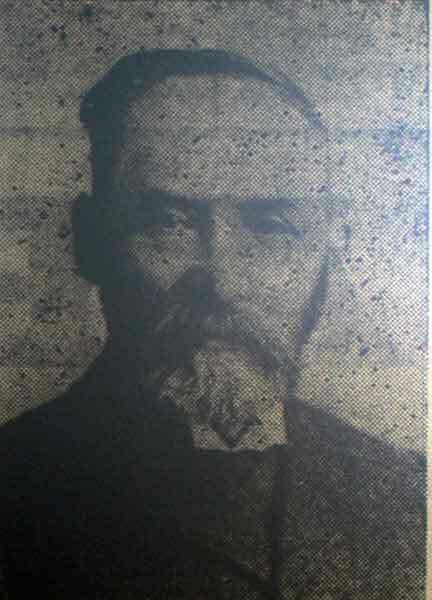 He held a seat on the Cornwall Agricultural Executive Committee, and became the leader of the movement which resulted in the formation of the Launceston Branch of the Cornwall Farmers Union. He was chairman of of the local branch and at the time of his death also chairman of the County Farmers Union. When the Education Act of 1902 came into operation, John was one of the first members of the local committee, and was up to the last, chairman of the Launceston section of Launceston, Camelford and Stratton District Committee. Like many radical thinkers of his era, John was a devout Wesleyan and had been a local preacher for nearly fifty years and for thirty of those years he had conducted a young man’s class at South Petherwin. On several occasions he conducted special missions in various parts of Cornwall and Devon. John died after a failing health on September 20th, 1912. He was interred at South Petherwin Wesleyan Chapel . One thing of note is that in real life ‘Farmer Oldwit,’ in the Rev. Mark Guy-Pearse’s book ‘Simon Jasper’ was John Rawling.